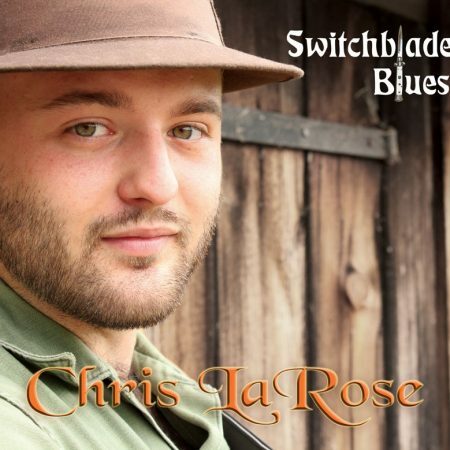 Chris LaRose was a semi-finalist in the International Blues Challenge! He was one of 26 acts out of 82 entries of both single and duo acts word-wide to make it to the semi-finals while in Memphis. Chris LaRose hails from Lock Haven Pennsylvania; growing up in garages restoring vintage motorcycles with his family and friends sure had a unique impact on his music style. Chris’s concerts range from driving blues and upbeat 50’s rockabilly to soulful acoustic originals. He feels honored to have played several shows with Grammy Award winning Native American artist Joanne Shenandoah both in America and in Europe. He has recently returned stateside after playing a string of concerts across Germany for international conferences, pub and restaurant events, weddings and other celebrations. One of his favorite hobbies while abroad was playing street music, which he used as a means to backpack through Germany, Spain, Poland and the Czech Republic. Now home again he is excited to announce his presence in the live music scene and to promote his current original album Switchblade Blues. It is not uncommon to find Chris playing his music at Car Shows, Air Shows, Motorcycle Swap meets, County Fairs, Breweries, Restaurants and many other venues as distant as cars, planes, and trains will travel.